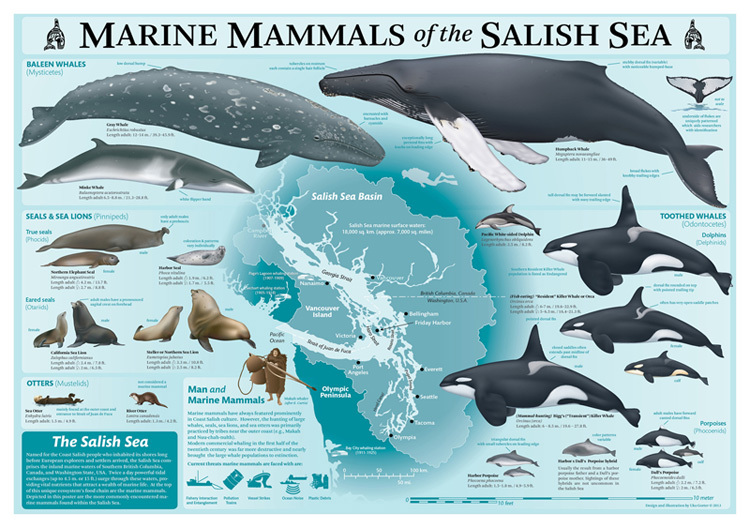 This unique poster depicts the more commonly encountered marine mammals (i.e. whales, dolphins, porpoises, seals, sea lions, and otters) found within the Salish Sea. The marine mammals are drawn to scale at average adult lengths and arranged taxonomically. The poster also features a map of the Salish Sea Basin with basic information.